If you own a home and you need cash, you may wonder if it is possible to refinance loan for more than value of home. In some rare instances when there is a market of easy credit, it is indeed possible to refinance your mortgage for more than the value of the home, but this is very rare and you must have excellent credit if this is even going to be a possibility. Can You Refinance Loan for More than Value of Home? In the years leading up to the mortgage crisis of 2008 and 2008, it was possible to obtain a mortgage loan that was equal to more than the value of a house. In some cases, this was done when the home was initially purchased. The home mortgage may be a loan large enough to pay for the entire house plus closing costs, or in some cases, people even took out loans that were able to cover the cost of a home and give them some money left over to pay for furniture. For example, some home buyers borrowed as much as 110 percent of their home's value in a single loan. 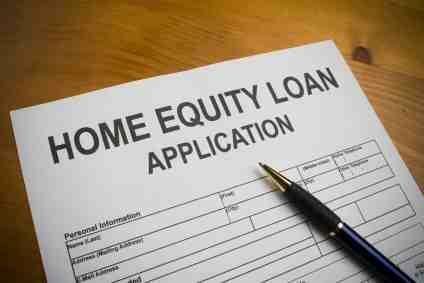 It was also possible to refinance and tap into your home equity, taking a loan for larger than the amount that your home was worth or than the equity in the home. For example, if you owed $100,000 on your house and the house was worth $100,000 in some cases you would be permitted to refinance and take out more than $10,000 in equity. For example, you could refinance to borrow $10,000, ending up with $10,000 in cash and a $110,000 loan balance. However, in the wake of the mortgage mess, it is essentially no longer possible to borrow more than a home is worth unless you obtain an FHA loan or VA loan with the closing costs or financing fees rolled into the loan. In fact, now most lenders will not permit you to refinance if the new loan would result in you owing more than 80 percent of the value of your home. So, if your home is worth $100,000, the maximum mortgage refinance amount you will be able to obtain is $80,000. The reason you cannot refinance for more than the home is worth is because a mortgage is supposed to be a secured loan. This means that the bank's investment is supposed to be protected by the house as collateral. If you owe as much on a home as it is worth, the bank has no protection. If home values drop, they could end up with a loan larger than the collateral and then if you default, they would not be able to recoup their investment by foreclosing on the house. Worse, if you owe more than the home is worth, you may be tempted to walk away from the house, leaving the bank to foreclose on it. In some states, the only recourse a bank has if you walk away is to foreclose, so if they sell the house for less than it is worth or less than owed in a foreclosure auction, they could end up losing substantial money on the deal. As such, banks want you have at least a 20 percent equity stake in the house. If you don't, the bank is not going to let you refinance at all unless you can come up with the cash to get up to having a 20 percent equity stake. They certainly are not going to let you take out more money than the home is worth. They want to ensure that you have this equity stake both so you won't be tempted to walk away and so that they will have a 20 percent cushion if you do before they lose money on the loan. If you owe more than your home is worth and need to refinance, you may wish to talk to your lender about mortgage restructuring programs. Federal programs have also been put into place through the FHA to help homeowners who are underwater to restructure their mortgage loans, even if the homeowners owe more than the home is worth.